Here are some of the books we will read aloud and talk about in class. 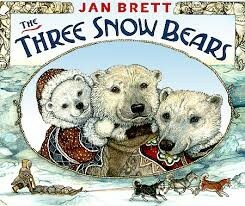 Jan Brett has written many other books that would be great reads for you to do with your kids at home. 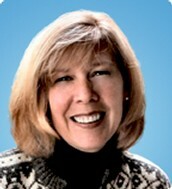 I put a link to her website below. She has some activity pages and videos that you and your child can explore. The Goldilocks story takes a fine twist when an endearing snow bear family and a curious Inuit girl meet center stage in Jan Brett's stunning paintings of a land where the Inuits and the animals share the amazing Arctic landscape. While Aloo-ki is making herself at home, Papa, Mama and Baby Bear are out walking, waiting for their breakfast to cool off...and who do you think they find? In the borders, playful Arctic animals in parkas inspired by original Inuit designs have a mischievous time as the lively story bounces back and forth between the snow bears and Aloo-ki until they come face-to-face. 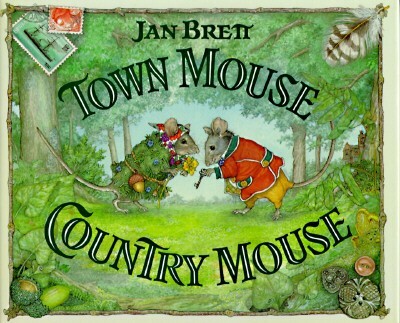 The classic tale of a town mouse and a country mouse takes on a new dimension in the imaginative and talented hands of Jan Brett. She introduces two engaging mice couples eager to get away from their everyday lives. But when they agree to swap homes, they are plunged into unexpected adventures around every corner. 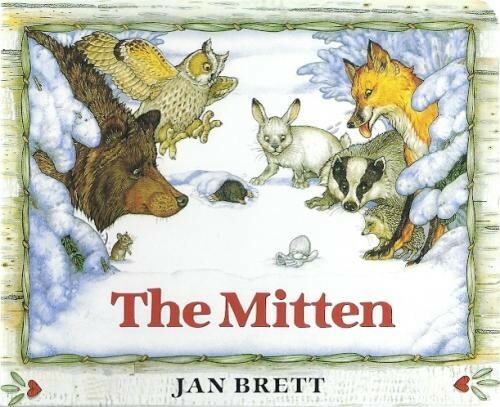 In an unusual twist to a familiar fable, Jan Brett introduces a bumbling kitchen cat and an inept country owl who stalk the unsuspecting mice from the borders, causing one disaster after another. Finally a dramatic climax sends the mice racing for their own homes, and brings the cat and the owl face-to-face in a surprise ending. In a story filled with suspense and humor, lush green country scenes alternate with the elegant details of a fine Victorian town house, making this a breathtakingly beautiful picture book.